Investing in a car can be quite the expensive endeavor, but it doesn’t necessarily have to be. 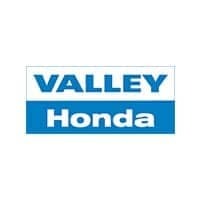 Here are Valley Honda, we offer a variety of used cars under $10,000 so you or your teen can drive home knowing you got a great deal. 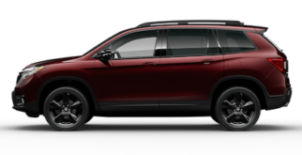 Whether you’re looking for a Honda or another make and model, our ever-changing inventory of affordable used cars is sure to accommodate. Rely on us for financing, and stop by when you’re ready to view our inventory in person. We hope to be your resource for cheap used cars for sale in Aurora! CARFAX One-Owner. Clean CARFAX. Milano Red 2015 Honda Fit EX *New Arrival, *Don't Miss Out!, *Come See Why Valley Honda is THE Place to do Business.32/38 City/Highway MPGAwards:* 2015 KBB.com 10 Tech-Savviest Cars Under $20,000 * 2015 KBB.com Our 10 Favorite New-for-2015 Cars * 2015 KBB.com 10 Most Affordable Cars * 2015 KBB.com Best Resale Value Awards * 2015 KBB.com Brand Image Awards2016 Kelley Blue Book Brand Image Awards are based on the Brand Watch(tm) study from Kelley Blue Book Market Intelligence. Award calculated among non-luxury shoppers. For more information, visit www.kbb.com. Kelley Blue Book is a registered trademark of Kelley Blue Book Co., Inc.